Growing up we didn't trick or treat. There is only one time in my life I remember dressing up and it was when I was a teenager and did it with friends for fun. I am sure we attended church events, I really do not remember! But I always knew that I wanted our kids to be able to participate. Not teach them bad things about Halloween... but not shelter them the way my husband and myself were and not allowed to trick or treat. It isn't a bad thing, I do not feel like I missed out.. but I wanted to relive it with my kids! This year I asked my 2.5 year old what he wanted to be! 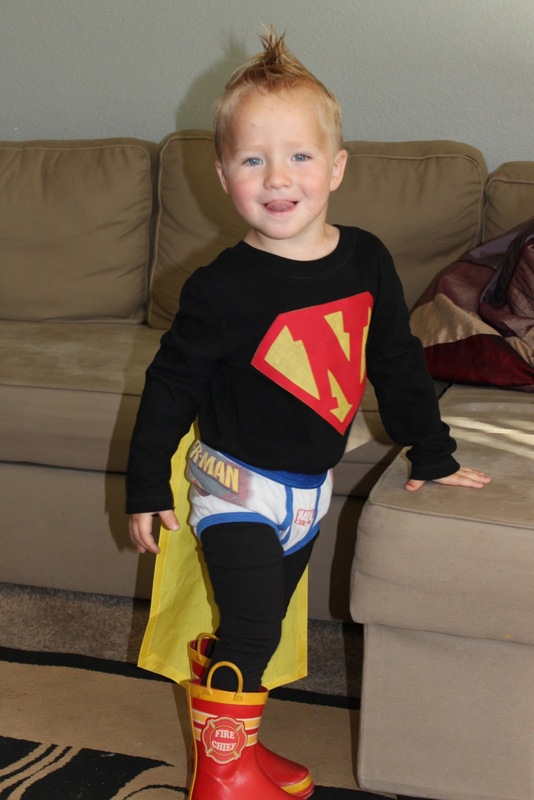 He actually responded "Super Hero, like Super Why!" He has also learned about trick or treating from Super Why.. and Halloween, Skeletons. Etc. Someone try and say TV doesn't affect our young ones. Anyways, so super hero he will be! I have a friend who owns a boutique. You really should check her out over at Halo Collective. She does some awesome things.. when I find out if this new baby is a girl- I will for sure be shopping with her. So she put together my boy's SUPER N on the front of his shirt. I just loved it.. as did he! Thanks Karissa!! Little Sis had made my boy a super hero cape. I had intended for him to wear it the whole time I was planning this- but it didn't match very well with the front of his shirt AND it buttons around his neck. Which I love. But he never leaves it on longer than 5 minutes. 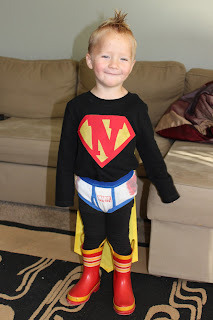 He wears it after his bath.. naked.. running around being a super hero. ADORABLE! 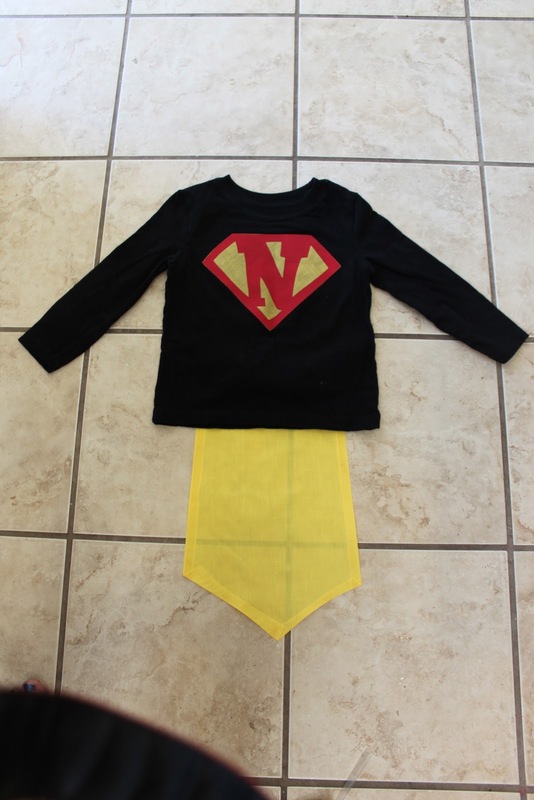 So I took it upon myself to attach a cape I made on his shirt. This might not look like much- but!!! I am the non-creative one. 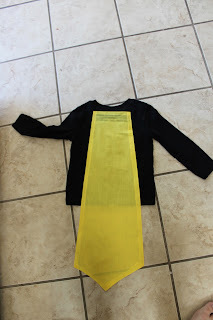 I am the one that stresses about ironing something vs. sewing. I am so proud of my little cape. Haha. This was so much better.. because he could not take it off and he loved it! My little Super Hero! All ready for our Halloween Festival! He was so stinking cute! He loves to do his little Super Hero Spin! He is such a blessing in my life!